Nose: Soft malt and freshly baked bread with fruity hints of orange and raspberry, and a touch of fennel. Palate: An array of sweet spice, star anise, black liquorice, cassia and fennel. A pleasant mouthfeel with a gentle warmth to it. Finish: Zesty orange, perhaps even flamed orange, combined with black pepper. 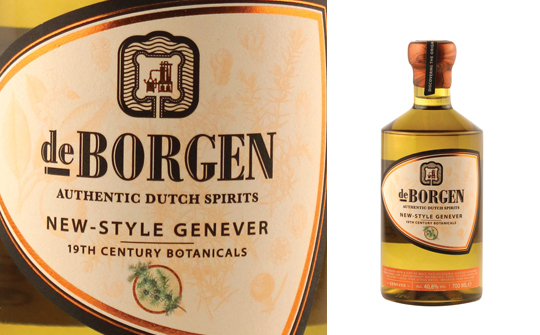 Comments: A complex genever with good sippability that works surprisingly well with tonic water. Nose: Clean, spicy, nutty and earthy root-like aromas mingle with liquorice, honeysuckle and perhaps just a trace of juniper and summer fruits. Palate: Full-bodied, buttery mouthfeel with gentle spices and slightly sweet herbal and fruity favours. Lemon flavoured ice cream comes to mind. Finish: Very long and honeyed, slightly bready but with mouth-watering juicy fruits lingering. Comments: Made for sipping. Would be well matched with tonic or in a cocktail such as an Old Fashioned.